Those were the words of Cardinal Giovanni Angelo Becciu, prefect of the Congregation for the Causes of Saints, pronounced November 2, 2018, in the Basilica of Saint John Lateran, during the Mass for the beatification of Clelia Merloni, founder of the Apostles of the Sacred Heart of Jesus. Proclaimed Blessed, yesterday, in the Basilica of Saint John Lateran, was Mother Clelia Merloni, Founder of the Sisters Apostles of the Sacred Heart of Jesus. A woman fully abandoned to the Will of God, zealous in charity, patient in adversity and heroic in forgiveness. We thank God for the luminous evangelical witness of the new Blessed and let us follow her example of goodness and mercy. An applause for the new Blessed. The word of God that has been proclaimed helps us to grasp the heart of the human and Christian experience of Blessed Clelia Merloni, highlighting the essential elements of her spiritual “countenance”. It is the face of a woman whose existence was impressively marked by sufferings and tribulations: the cross was the seal of her entire life! But her gaze, especially in times of trial, was always turned to God. In the second reading, the apostle Paul addresses the Christians of Corinth, indicating charity as the “most sublime way” to attain the greatest charisms (cf. 1 Cor 12: 31), and affirms: “Love is patient, love is kind. It does not envy […] It is not easily angered, it keeps no record of wrongs […]. It always protects, always trusts, always hopes, always perseveres” (Ibid. 13. 4-6). For his part, the evangelist Luke attributes these words to Jesus: “Love your enemies, do good to those who hate you, bless those who curse you” (Lk 6: 27). These exhortations seem to find a new relevance in the life of Mother Clelia, who radically made them her own, especially when she was afflicted by slanders that caused her dismissal from the governance and then even her removal from the Institute she had founded. It was the period of her ordeal. A difficult and exhausting personal ordeal of loneliness and isolation, of weakening health and hardship, at the limit of despair. It was the moment of the meeting with the Spouse, Jesus Crucified. How can we fail to see her as assimilated to the One Who suffered abandonment, contempt, ignominy, failure, the stripping of all human dignity on the cross? Blessed Clelia, following the example of Mary who remained firm and unshakeable at the foot of the Cross, did not doubt her faith in God, in the One Who never abandons His children in every season of existence, especially at the hour of suffering, often impossible to understand and hard to accept. She shared the wound of the Heart of Jesus, responding to hostility and contempt with charity. She placed every opposition at the foot of the Tabernacle: there was her point of support. In front of the Heart of Jesus, she recognized her desire for reconciliation with everyone, finding the strength to forgive those who persecuted her. Despite her strong character, she showed extraordinary tenderness in forgetting the injuries suffered, thus bearing witness to the winning power of charity, which does not anger, does not keep a record of wrongs, forgives all, perseveres. She never spoke to the detriment of anyone, even of those who, especially within her Congregation, were hostile to her; she embraced sufferings, offering them to the Lord and seeing in them the various facets of God’s love for her. Thus, with her life given in total oblation, she was the founder of the Apostles of the Sacred Heart of Jesus, witnessing in her flesh the charism of the Institute. A current and fascinating charism: to offer oneself totally and joyfully to the Heart of Jesus to be a living and credible sign of God’s love for humanity. Christ always remained as the center of her faith, encountered above all in the Eucharistic mystery, in the long hours spent in the chapel, even at night and when sick. A witness tells: “After serious events, she took refuge in the chapel and many elderly nuns who saw her reported that they had to shake her hand to make her answer because she sank into the contemplation of God and in Him was still, as if in deep ecstasy” (Informatio, 67). This Eucharistic centrality flowed in her attention to the decoration of the altar, of the liturgical functions, of the churches, for the solemnity of the feast days, especially to the priests, ministers of the altar, for whom she prayed especially, and especially for those in difficulty. She was a woman religious who always looked only to God; her motto was “God alone”. God above all and above all things. It was worth choosing him as the only Ideal of life and trusting only in Him, above all in the light of the experience, lived on her own flesh, of the collapse of so many human certainties. She was able to rightly recommend to her sisters: “Impress in your heart that God alone is your only asset and your only refuge”. Entirely and solely God’s, she savored His continuous presence, living immersed in the supernatural, to the point of being transformed into a “flame of love”. In fact, in Blessed Clelia, the life of contemplative prayer was intense and constant. The witnesses agree in asserting that she prayed continuously, keeping her gaze fixed on God, scrutinizing His Word and interweaving prayer with all her actions: her life had become prayer. 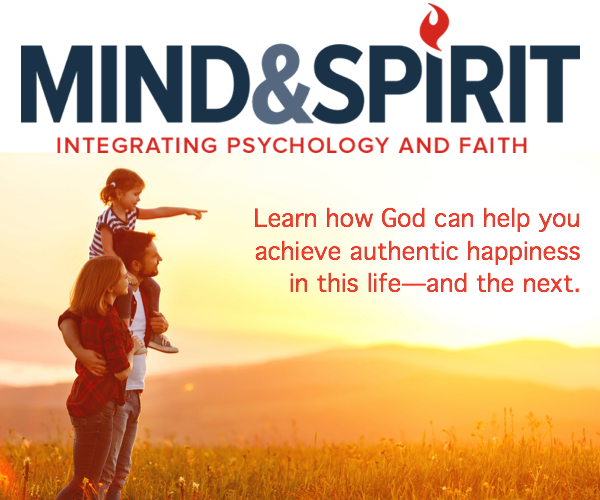 She was so attached to prayer that her inner union with God led her to skip meals. “When asked: ‘Mother, how do you live without eating?’, she replied that her nourishment was prayer” (Informatio, 35). But here is another aspect of the spiritual face of Blessed Clelia Merloni: precisely because she was a woman entirely of God, she was a woman entirely devoted to her brothers and sisters, especially the little ones, the poor, the simple, the defenseless. Her love for God could not but be reflected and not incarnated in love for man, the living and palpitating image of God. Her heart was open to all, especially to the sick and the suffering; she knew how to meet the need of others, to the point often of depriving herself of what was necessary; she always showed special tenderness, an innate compassion for all sorts of suffering, submitting to any discomfort and effort, extinguishing that thirst for charity and zeal that burned in her. In the works of charity, she knew no limits and she fully identified herself with the problems of others; those who lived close to her asserted: “If she saw a man in need and could not help him, she felt she was faint. In the face of love, she understood nothing else” (Informatio, 53). Dear brothers and sisters, the saints and the blessed are for us living and lived messages of God. This is why the Church proposes them to us as examples to be venerated and imitated. Let us, therefore, open ourselves to the message that Blessed Clelia Merloni transmits to us in a very clear way through her life and her works. Moral suffering made her a strong and courageous woman who knew how to witness the love of Jesus in every circumstance. Joining the pierced Heart of Jesus and wishing to live the passion of Christ implies the awareness that the embrace of the Cross is an essential condition for making life flow around us and not allowing death to prevail over it, hatred over love, division over communion. The Blessed never surrendered in the face of outrages and slanders of all kinds. She reacted by extending love everywhere, especially to the weakest and most disadvantaged, and working for the assistance and religious education of the younger generation. Not only that, she was able to participate in her ardent desire for love of God and the brothers and other companions with whom she began an original way of religious life dedicated to the Sacred Heart, where to emerge as essential elements of the charism were prayer and suffering. Dimensions that never failed in the existence of the Blessed and with which she nurtured and governed the institute, leaving as a legacy to the Church a very current interpretation of the sense of authority as being authoritative in giving and in love. Dear Apostles of the Sacred Heart of Jesus, today we rejoice with you to see Mother Clelia as a member of the Blessed. We ask you to keep alive her charism and above all her oblative spirituality, whose fulcrum is the love that bears and forgives everything. The mission, for which your religious family was founded, is always current. The motto of your Institute, Caritas Christi urget nos – the Love of Christ drives us – commits you to make these words of Saint Paul your own, radiating love without ceasing and without limits. Let us ask the Lord that the path of holiness, which Mother Clelia Merloni has shown us with her life sustained by love of the Cross, can become every day the luminous and sure path of our journey of love for God and for our brothers and sisters. 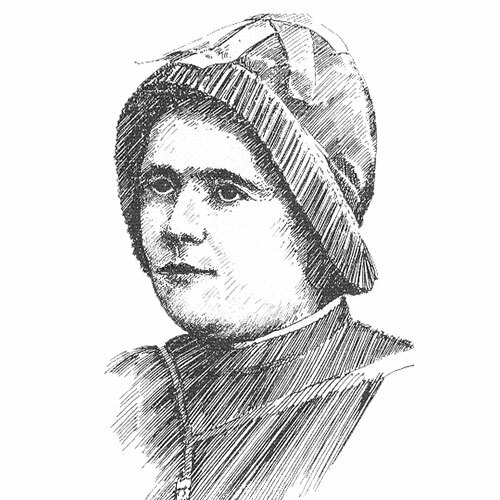 Let us repeat together: Blessed Clelia Merloni, pray for us!